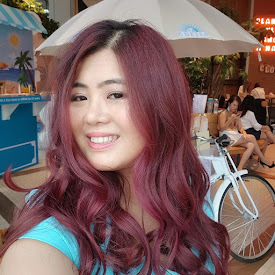 Recently I blogged about AsterSpring's Passion Anggun free giveaway, where you can either choose free facial worth RM68 or sign up their package at the promotion price. So I choose free facial OF COURSE ! 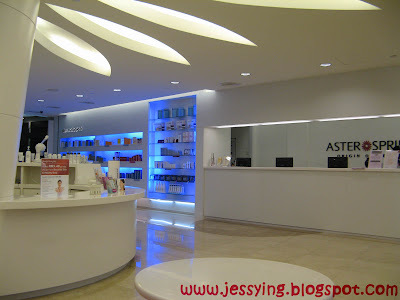 On the same evening I signed up the free facial , Asterspring called me to my surprise to help me make appointment for the Free Facial I signed up for. At that point of time I have bad feeling , as I don't think a beauty institute that is quite well known will call me to make appointment for the FREE FACIAL, must be I'm targeted , once go in cannot come out ? So I went with a strong heart not to sign any package. I think all of us have bad experience in meeting hard sale salon right ? So I am quite worried when I walked in for the first time. 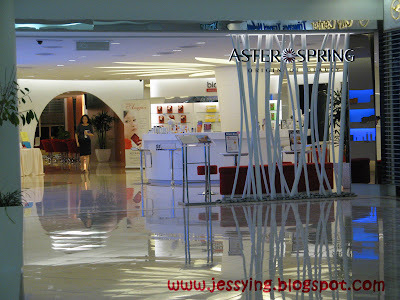 The Asterspring looks beautiful from the outside , and from when I was walking in , I was shocked that the place is so so so HUGE !!! This is only entrance to the Origins of Beauty . The Free Facial includes Dermalogical Face Mapping and Mircozone Facial and. 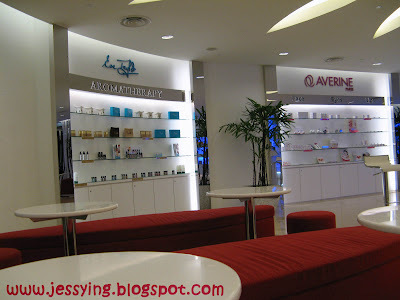 Part of the waiting area where the Beauty Consultant asked me a series of questions regarding my skincare, health & lifestyle habit for around 10 mins. There is a fruit bar here where they serve organic/green/fruit drinks to you. Of cos have to pay la. Nothing free in the world okay , except dust !!! Shss... I curi2x take pictures to share with you girls when the Beauty Consultant went to arrange facial for me so risky ! p/s: For Mini Hydrating Facial is where they will do cleaning, scrubbing, toning & hydrating mask) Therefore there is no facial for eyes and step on extraction because as I mentioned its a Mini Facial which means its zone on area of concern. And this is stated clearly in their website, they are giving Free Dermalogical Facial Mapping and Microzone Facial Treatment worth RM68. 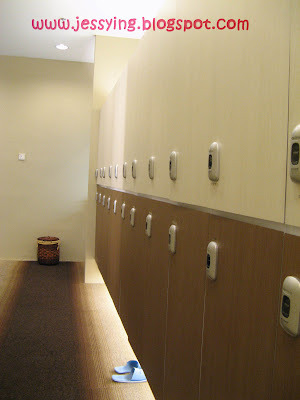 p/s: Look so like dorm !! So talk about the facial, I was lead to the facial room after changing to towel as provided. First the Beauty Therapist explained what she is going to do with my face and asked me if I'm comfortable. The whole mini facial was around 30-40 mins and it was a basic facial for us to experience. The mini facial includes milk facial wash, toning , scrubbing, steaming my face for 5-10 mins, hydrating mask for around 8-10 mins. Although it was a short facial, I felt asleep during the masking time partly I was very tired and its very relaxing (except the room temperature is a bit cold). Well NOT at any time Beauty Therapist asked me if I want to add serum,mask, upgrade the minifacial or ask me sign up package during my mini facial which I have experience before. Once I finished the minifacial, I can feel my face is more hydrated as when I first walked in my face is really dry due to lack of sleep and masks. 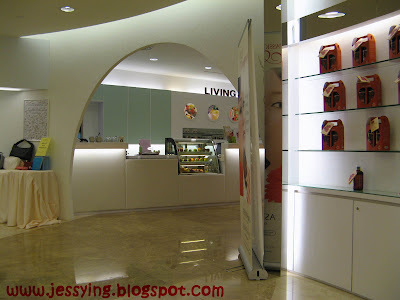 Anyway after the facial, I was lead to the other waiting area where the Beauty Consultant came and asked me what is my feedback on the facial and if I am satisfied with their service. I have to say YES because I like their friendly and professional service. So she asked me if I would want to come for future facial if I am interested, which she can help me to book. I politely told her that I need think about it first and I still have "existing" facial package. To my surprise, she reply is okay , let us know if you have any enquiry and she gave me samples of Dermalogical's products for me to try (without me asking her). I wont even dare to asked for samples when I already have the free facial & good customer service from them. And then she explained all the steps how to use the samples and I just walked out from the store. "Thank you and hope to see you again in the future in a very sincere & polite voice"
Also I can't tell you how good or bad is Dermalogical products as I only have mini facial for 30-40 minutes. However the experience here is pretty great considering many salon out there are forcing directly/indirectly to buy the facial package the minute you walk into their salon. At any time I was not expecting full facial as it is mentioned clearly in the website free microzone facial RM68. I was there only curious to find out more about Asterspring. Also I would want to share this, when I asked her is it when I used my Whitening skincare will caused dehydration, and should I stop using and change my skincare to hydrating range. In a very professional attitude, she told me to check back with my own skincare and she did not even try to introduce and hardsell their product until I asked her. And currently I am using RMK's Brightening skincare. I think I need switch back to my hydrating range. (So tempting to get Clarins Hydraquench set RM228 worth RM467!!!!!!!!!!!!!!!!!! p/s: All the Beauty Consultant/Therapist is well trained with good manner and good service. I have good impression on this and maybe I will for their facial next time. Their facial price range from RM120 above (1.5 hour). 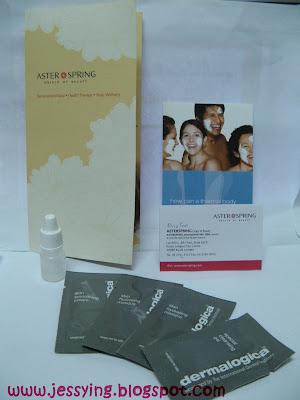 Specific eyes treatment (30mins) is RM55 which Fatin darling have tried for free and said the result is good~! Also Sasa just signed up online, called and and confirmed that the free mini(microzone) facial is still available despite the website promotion ends on 30 Sept 2009. Sign up for free facial here and call for reservation. 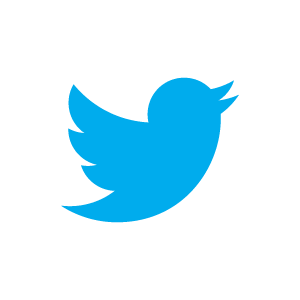 Exclusion clause : All above pictures, review, rating and comments are of my personal opinion observed from the mini facial and do not mean to defame anyone or whoever are concerned. I do not hold malice against any product/person and only meant for personal sharing of experience to my fellow readers. wah.. nice nice.. good good review..
if only we have omore professionally trained consultants like that. Evis Tan, the consultant's name? which camera u use? phone camera? I normally use phone camera-- it doesnt' look so obvious that way. easier to bluff that way. Called up their Customer Care Line, Sin Yee (don't know how to spell) says better to check with their Head Quarter 03-7809 6666 on whether this promotion is still going on as the website promotion says 30/09/09 ended. Whoever left their details there probably got called to go for this promotion which is only for new customers. Face Mapping [consultation]- identifying 14 zones on your face & your concerns. This will take about 5-10 mins. Microzone Facial [mini facial]- select an area of your skin where you're most concern with, they will do a basic cleanse, tone, scrub (and extraction if blackheads are your concern) and masque. This should be for 30mins + consultation. 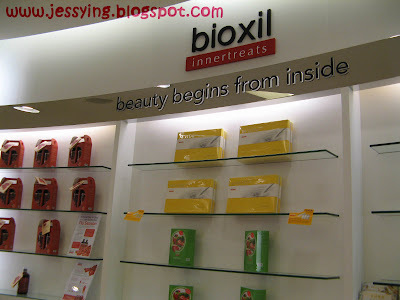 Some more the website stated worth RM68, i dun think this price can get full facial at KL. me sign normal course also RM200+ per session at philip wein le..